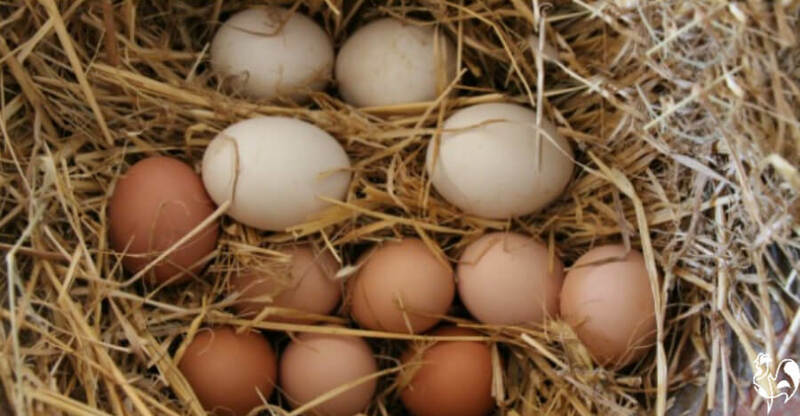 Incubating chicken eggs : your questions answered. If you're thinking of incubating chicken eggs you'll find it's at the same time the most exciting and the most terrifying process. The first time I did it, I was a nervous wreck. So if you're not sure of the process, I'm going to try to help you through it by answering the most common questions people ask me about it, from the very beginning to the point of hatch. 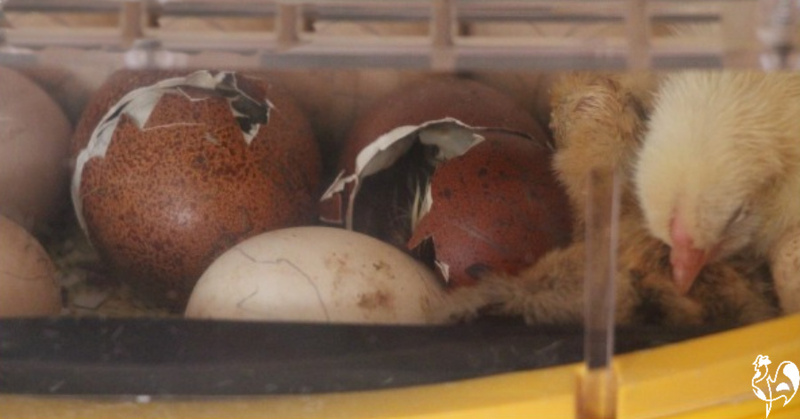 Incubating and hatching your own eggs can be nerve-wracking - but is immensely rewarding. 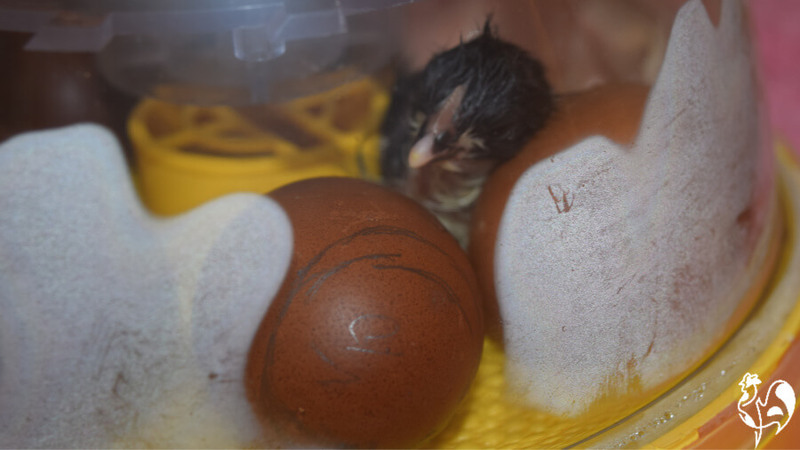 These are two newly-hatched chicks in my Octagon 20 incubator. And if I haven't answered your particular question I invite you to ask it now! Here's a link to the page where you'll find a simple way of getting in touch with me, or you can use the comments box at the end of this page. Incubation is the process of keeping fertile eggs - chicken, other types of poultry (like turkeys), waterfowl (like ducks and geese) or any other kind of bird - warm for however long it takes to hatch a baby bird from the egg. 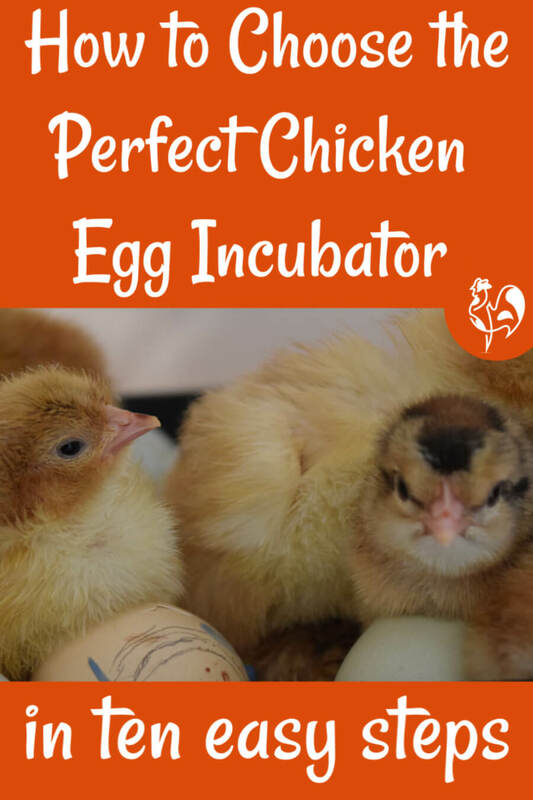 This can be done either naturally, by a broody hen sitting on the eggs, or by using an artificial incubator which keeps them at the best possible temperature and humidity levels. A broody hen is a female chicken who is intent on incubating and hatching. She will sit on any eggs - they don't necessarily have to be her own. Broodies have been known to hatch other birds altogether - it's reasonably common for chickens to incubate and hatch ducks, for example. A good broody hen is worth her weight in gold! Some breeds of chicken are more likely to "go broody" than others - Silkies are a great example of a breed that often goes broody - and some chickens, particularly those bred specifically as egg-layers, are highly unlikely ever to want to incubate an egg. Red Stars, for example, are great layers but don't make good mothers at all. If a hen has stopped laying, can she still incubate? Yes, if a hen has been a good broody but she's no longer laying her own eggs there's no reason why she can't incubate someone else's. It might be wise to have an incubator warmed up just in case she loses concentration though. How long do chicken eggs take to hatch? 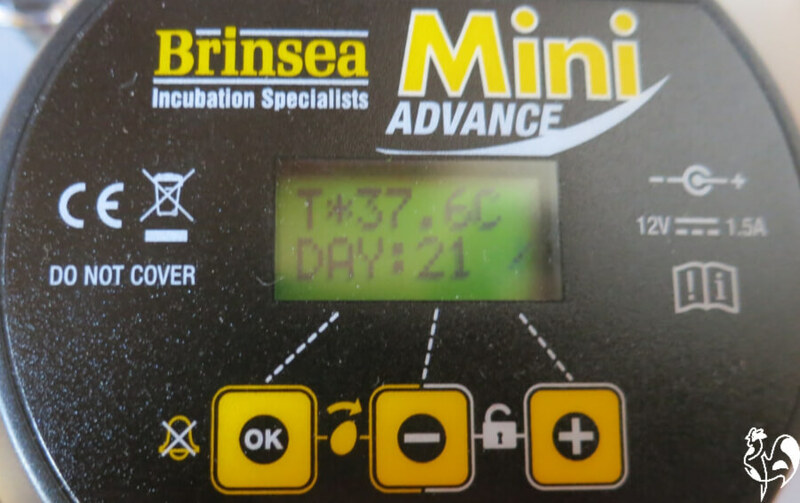 Incubating usually takes 21 days, but this can vary depending on various things - most importantly the temperature levels in the incubator. If they drop for any reason the hatch will take longer. I've had chicks hatch as late as 25 days after setting and for that reason, I tend not to discard any (as long as candling has shown development) before that. A Wyandotte chick at the point of hatch - a little 'late' but perfectly healthy on day 22. Can different chicken breeds be incubated at the same time? Yes, there's no problem with this. I've hatched heavy breed chickens (Light Sussexes and Wyandottes) in the same incubator with little Sablepoot bantams. Having been hatched and raised together, they're the best of friends. Some books will tell you that bantams tend to hatch earlier and therefore should be incubated separately, but that's not been my experience. Can different types of bird be incubated at the same time? This is more tricky. Different types of bird eggs have different temperature and humidity needs, and take different lengths of time to hatch. While chicken eggs take 21 days, for example, geese can take between 30 and 35 days and need a higher humidity level. Goslings are also more likely to hatch if the eggs are sprayed with water every day between days 6 and about 25, whereas chicken eggs need to be kept in humid conditions, but dry. My neighbour asked me to incubate a mix of chicken and goose eggs which needed separate incubators. The goose eggs are the larger, white ones. To understand this more fully, think about natural incubation. 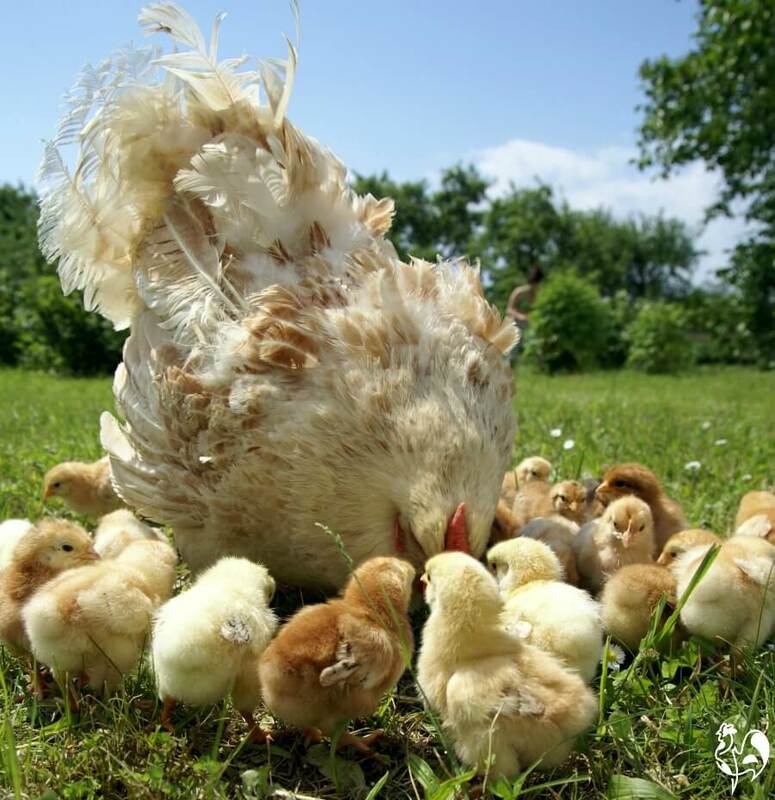 A mother chicken will sit on her eggs and take time out for feeding whereas a mother goose will spend some time each day in water - and then return to her eggs and sit on them with her feathers still damp. So, from my own experience of hatching chicken, turkey and goose eggs I would advise by all means hatch different breeds of chicken together, but incubate different types of fowl at different times in order to give them all the best chance of a successful hatch. What equipment is needed to be able to hatch? 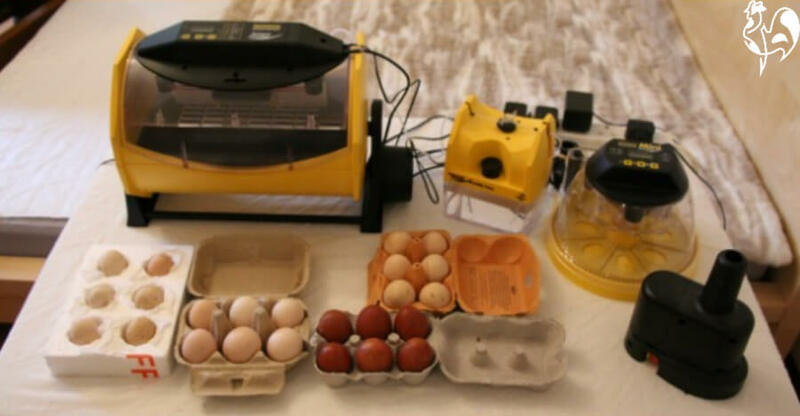 The basic equipment you'll need if you don't have your own broody hen is pretty simple - an artificial incubator and some form of light for candling - which can be as simple as a flashlight. You do need to think carefully though about space, both to place your incubator and more especially for your chicks when they hatch. They grow unbelievably quickly and will be flying within two weeks of hatch. Being a bit of a hatch-a-holic I have several pieces of equipment - but you don't need that many! An incubator is a machine - an artificial way of keeping eggs at the right temperature and humidity until they hatch. There are several different types, from the home made to manual, semi-automatic and fully automated. Candling is holding a strong light to eggs to see whether or not they're fertile, and to see how well fertile eggs are developing through the incubating period. It's a fascinating process. If you want to know how to do it and what to look for, have a look at this section on candling. Setting is just another word for putting eggs into an incubator or under a broody hen. Traditionally chicks which hatch under a waxing moon - that is when the moon is growing - will be bigger and healthier than those hatching when the moon is waning or growing smaller, so they should be set 21 days before there's a new moon. My Octagon 20 incubator, set with a mix of chicken breeds. How old can chicken eggs be when they go into the incubator? I've successfully incubated eggs when they were just over three weeks old, but that's very unusual. 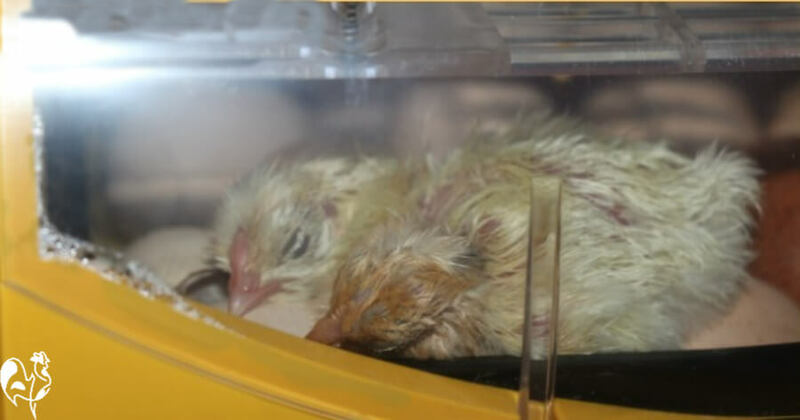 It's generally better to get them into an incubator as soon as possible after they've been laid, having given them a chance to be 'rested' for a few hours first. 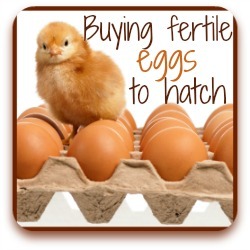 There's more information about how to choose the right eggs for incubation at this page. What's the ideal temperature for incubating chicken eggs? The temperature needs to be consistent at 37.5ºC (99ºF) in an incubator which has a fan, higher (38 - 39ºC, 102ºF) in a still air incubator. If it drops below that for a while it's not the end of the world - the chicks are just likely to hatch a little later. Most modern incubators have a digital read-out of temperature. If you're unlucky enough to have an electricity cut while you're incubating just keep the incubator closed, wrap it in something warm - a blanket or quilt is good - and hope the power comes back fairly quickly. If it does, the chances are your eggs will be fine. On the other hand if the temperature rises it's much more serious - the embryos won't be able to survive a raised temperature. Humidity levels are critical to a successful hatch. It needs to be consistent at 45% until 'lockdown' at day 18, when it should be raised to 65%. Too low and the chicks will have trouble hatching. Too high and there's a real danger they'll drown or not 'fluff out' properly after hatch. Chicks are very wet when they hatch and need to fluff out to keep warm. Getting humidity levels right is the hardest part of incubating, in my experience. It's the only time I've ever lost a chick after hatching - the humidity levels were too high, and despite hatching without a problem she wasn't able to dry out and died from cold before I was able to get to her. 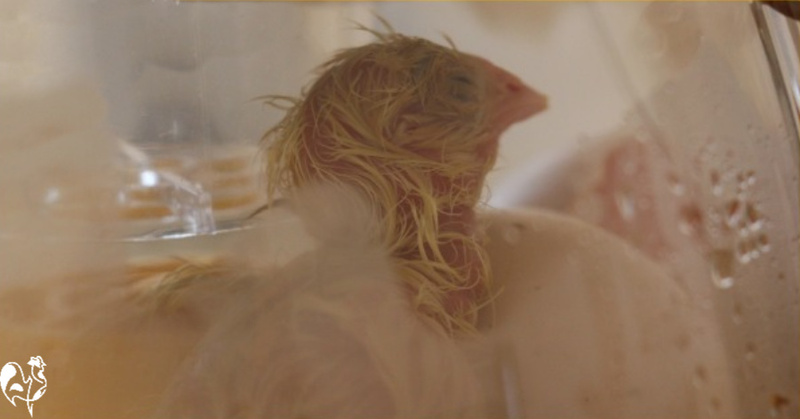 Three days before hatch is due, the eggs are no longer turned, the incubator remains closed and humidity levels are raised. This allows the chick to get into the right position for hatch, and it makes sure there's enough moisture in the air to keep the inner membrane moist as the chick starts to peck its way out of the egg. It's important because if the membrane is too dry the chick won't be able to peck through it and the chick stands a chance of dying. Do all eggs take the same time to hatch? Some chicks hatch earlier than others! No. Various things will influence hatch times - the age of the eggs, the health of the chicken the egg came from, fluctuations in the incubator temperature ... Sometimes chicks hatch a little before 21 days, sometimes it can be several days after. Don't give up on your eggs until 25 days have passed since they were set. Are there any really good books on this subject? There are so many books and magazines out there - not to mention websites and blogs - that it's difficult to know which one to buy. Sometimes their information is very thin, sometimes it's downright inaccurate. I know - I have most of them! The one that's my all-time favourite and my personal incubating and hatching bible is Gail Damerow's 'Hatching and Brooding Your Own Chicks'. It covers not only chickens but turkeys, ducks, geese and guinea-fowl too. It's thorough, easy to read and has some great illustrations. ... Please feel free to ask whatever is on your mind here and I will add your question - and my answer - to the page. And remember - no question is to small, or too silly. We all started somewhere! 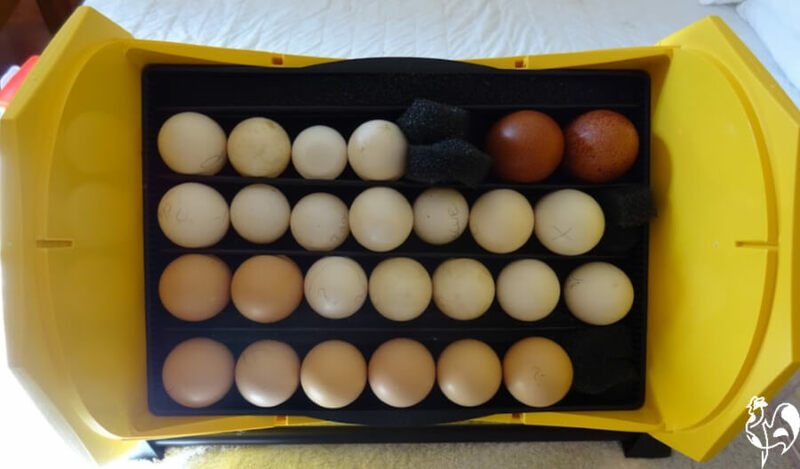 If you're interested in incubating your own eggs, these pages may be helpful to you. Just click on any of the pics to go to that page. Some links on this page are affiliate links, which means that if you purchase a product through them I receive a small commission. There is no extra cost to you. More details can be found on this page. Because my integrity and your satisfaction are very important to me, I only recommend products I have purchased or would purchase myself and which I believe would benefit you. To learn more please see my affiliates disclosure document.